Zendesk creates tickets. PagerTree acts as the dispatcher for these tickets, determining the right people to notify based on on-call schedules. PagerTree notifies them via email, sms, voice, and/or push notifications until the incident is acknowledged or closed. 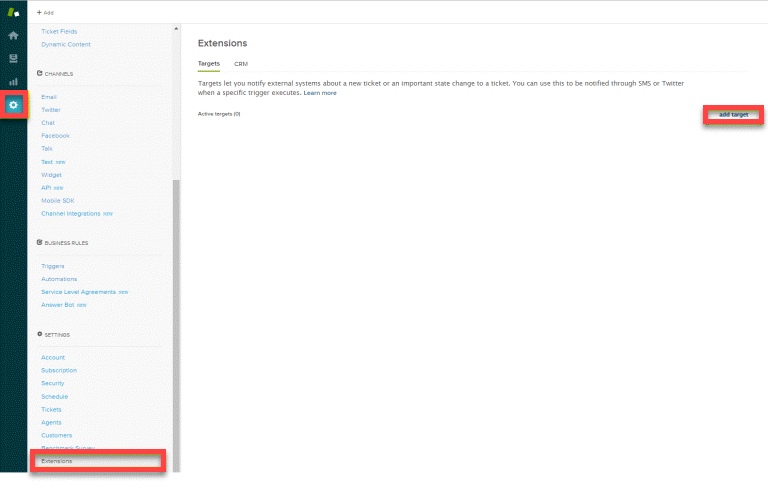 When an incident is created (event_type == "create") in Zendesk, an incident is created in PagerTree automatically. 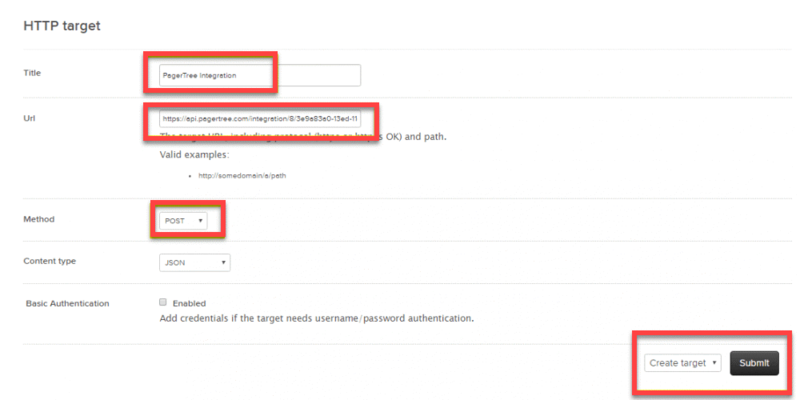 When an incident is created (event_type == "acknowledge") in Zendesk, an incident is acknowledged in PagerTree automatically. When a incident is resolved (event_type == "resolve") in Zendesk, the incident is resolved in PagerTree automatically. 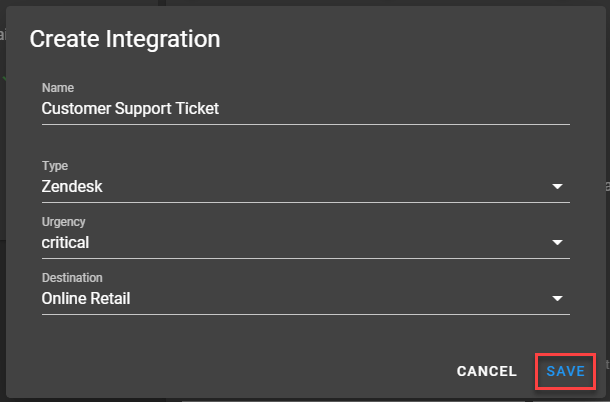 In this integration tutorial we will show you how to send tickets from Zendesk into PagerTree. The estimated time for this integration is 15 minutes. 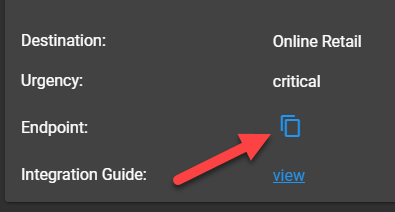 We assume that you already have a PagerTree and Zendesk account setup. Warning. Cloning targets and/or triggers in Zendesk could lead to unexpected behavior. We recommend always creating new targets and triggers. 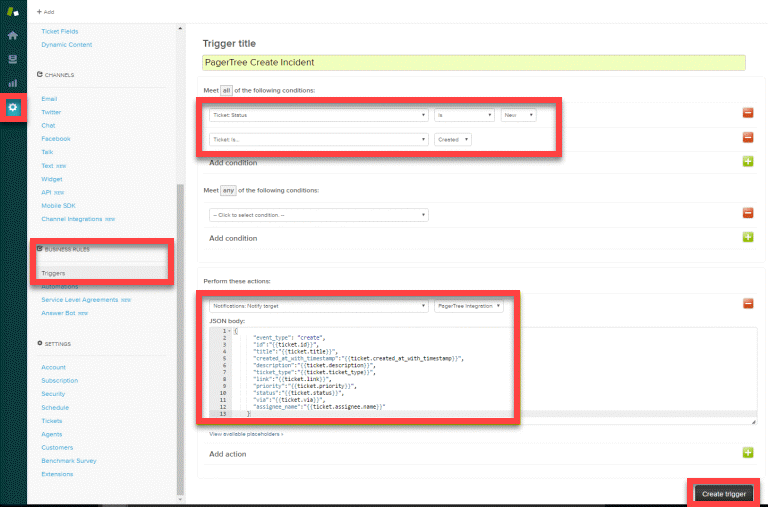 Additional triggers can be added if you would like the ability to acknowledge and resolve PagerTree incidents from Zendesk. Again, depending on your team’s workflow, set the appropriate conditions and then you can use the following two JSON payloads to acknowledge and resolve PagerTree incidents.